Once you’ve made the decision to pursue Medical Assisting, your next dilemma will be picking the program that’s right for you! If you’ve ever searched for the phrase “Medical Assistant schools near me,” you know how difficult this choice can often be. So, how do you find the school that’s ideal for you? While there are numerous schools that offer Medical Assistant programs, you’ll want to be selective in your decision making process. You can use several resources to help you compile a list of possible schools, such as the internet, the library, nearby colleges, or word of mouth. Once you have your list, the American Association of Medical Assistants (AAMA) suggests that you thoroughly investigate each program before taking any action. While no two Medical Assistants have an identical career path, a typical trajectory will start with a student gaining experience through their first Medical Assisting position. This will usually occur in one of the following environments: a physician’s office, a nursing home, or a hospital. Their days will often be spent taking vitals and drawing blood, and learning how to work on an interdisciplinary team of healthcare providers. It’s important to note that Medical Assistants are exposed to patients of all different backgrounds. They tend to also get a sense for how physicians diagnose and treat their patients. The first few years of a Medical Assisting career will likely move at an accelerated pace, and a motivated Medical Assistant should do everything in their power to absorb it all. 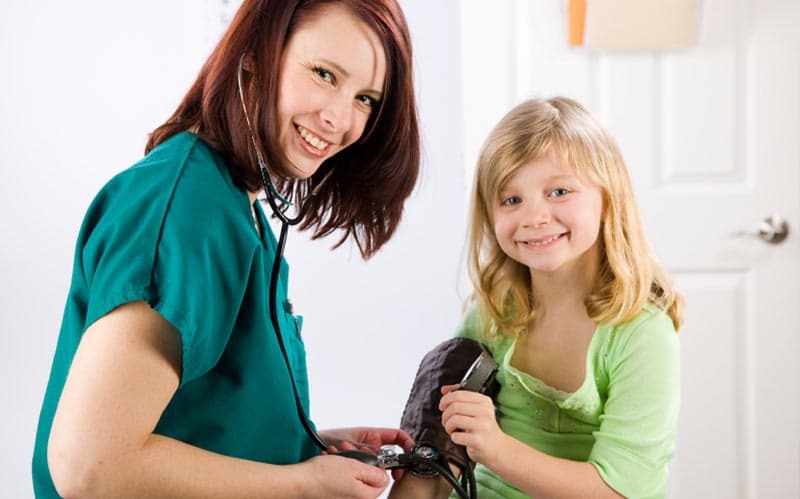 Medical Assisting is appealing because it provides individuals with a firsthand glimpse into the world of healthcare, not to mention the other specialties and careers within healthcare. For instance, some Medical Assistants may apply to medical school after having a fruitful experience as an MA. The clinical skills gained from Medical Assistant training can be helpful for medical school candidates as they write their personal statement and show proof of patient contact. Other Medical Assistants might not have any desire to leave the profession. Instead, they may choose to work in a different office, perhaps with a physician that will expose them to another specialty. Without a doubt, Medical Assistants have different goals, and some may find that their career goals have evolved over time. If you’d like to change your career but do not want to spend years in school, you might want to consider the Medical Assistant program at Eagle Gate College. It can be completed in as little as 10 months! For more information, please contact a school representative at (801) 333-7133.